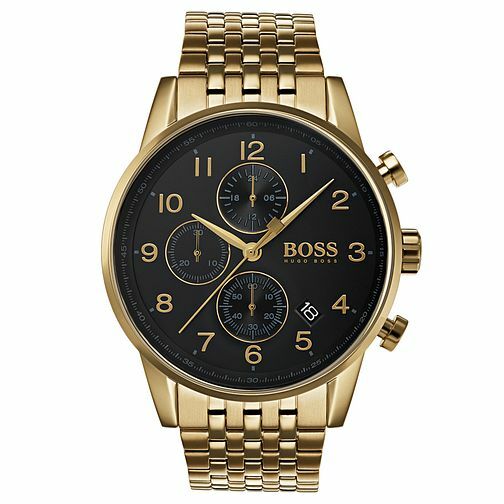 Hugo Boss Navigator Men's Gold Plated Chronograph Watch is rated 4.0 out of 5 by 1. Rated 4 out of 5 by Anonymous from Very nice! Bought this as a gift for someone. After reading different reviews I didn’t have high hopes. However, this arrived earlier than expected, the watch feels a lot more expensive than it is. If you like a heavy watch with a large face, this is the gift!